Come enjoy the day hanging out in Mississippi visiting with friends and playing pinball. Bring whatever drinks and snacks you want. We will open up our new gameroom to friends, and will provide a main meat dish for guests. Two pinball tournaments will also be going on that players can decide if they want to enter one or both. Location: Private residence in central Mississippi, Flowood, MS is in the Jackson, MS area, east side of town. Contact us for the address if you will be attending. Call or text at (601)906-8983. Contact Action76 or Pinball-is-great if any questions, or to let us know you are planning to attend. Guests/players can arrive between 11:00 am to 12:30 pm to sign up, practice, eat, and visit. We will review tournament rules from 12:30 to 12:45 pm. We plan to start first with the Pingolf side tournament around 12:45 pm. Then start the main tournament after completion of initial 9-hole round of the Pingolf tournament. Don't worry if you get knocked out of the tournaments, as you will then have more time to visit with others, eat, play other games and watch tv. 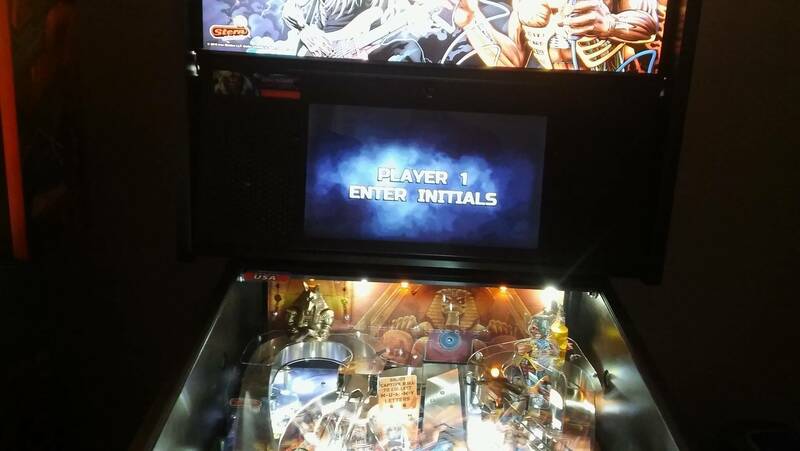 Both pinball tournaments will be registered with IFPA and players will earn IFPA points. Types of machines will range from electro-mechanicals from the 1970's, solid-state electronic type from 80's/90's, and modern DMD machines. Double Elimination bracketed format, with best-of-5 game matches on the winners side and best of 5 game matches on the losers side of the bracket. If more than 20 players entered, then we may decide to play best-of-3 game matches on the losers side of the bracket. Entry fee is $10 per player. Trophies for 1st, 2nd, & 3rd places. Entry fees are to help cover costs of trophies, IFPA fees, food, and misc hosting expenses. Initial round to be 9 holes (9 different machines). Achievements could be to reach a certain score, or could be an objective (such as start a certain multi-ball). Max score on 3-ball games to be set at 4. Max score on 5-ball games to be set at 6. Top 4 players with the lowest total 9-hole pingolf scores will make the play-offs. The play-off round will consist of 3 holes (3 different machines, selected by tournament director, likely via random draw). Top 2 players with the lowest total 3-hole pingolf scores in play-off round will then make it to the Finals. The Finals round will consist of 3 holes (3 different machines, selected by the td, likely via random draw). The two players that dropped out in the play-off round can play a single game to decide 3rd and 4th place if tied, or they can agree to tie for 3rd place. If necessary, an additional hole(s) can be played for each round to break tie scores to determine which player(s) will advance. Entry fee is $5 per player. Trophy for 1st place. Entry fees are to help cover costs of trophies, IFPA fees, food, and misc hosting expenses.